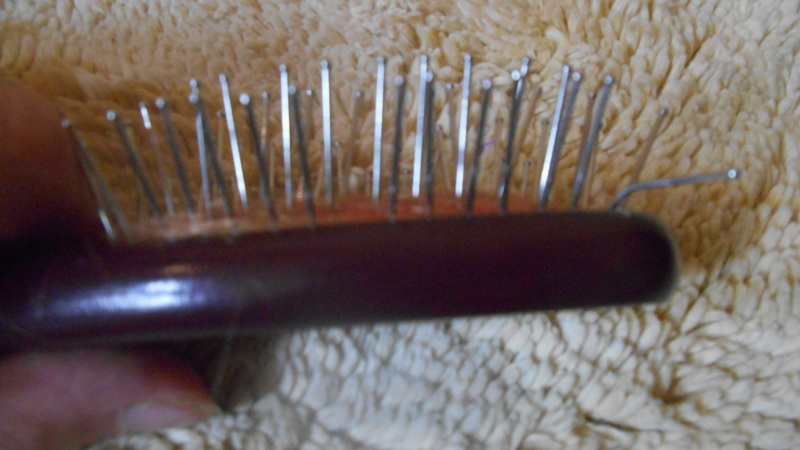 Today I will be talking about the hairbrush. 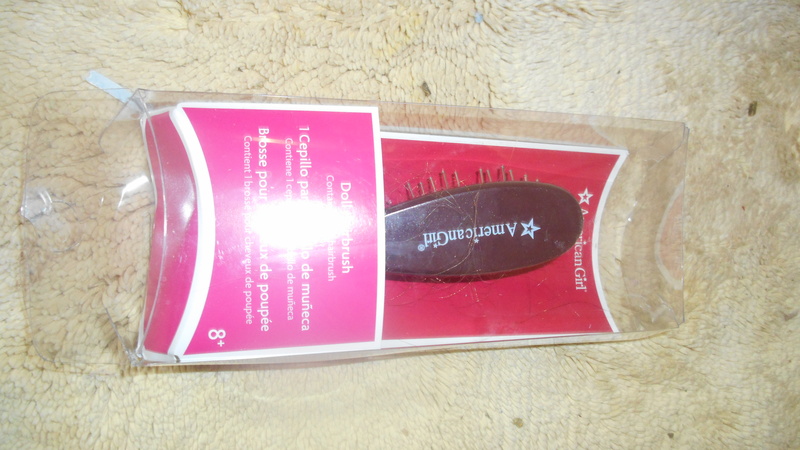 For eight dollars I don’t think it is great quality, but it works. It comes in a package. It is made out what looks like wood, but I think it is plastic. The shape is great for little hands, or even dolls. 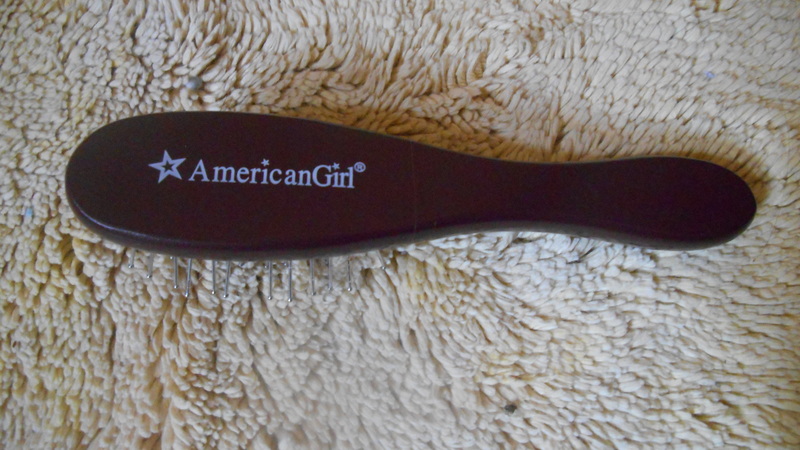 It has the american girl logo on the back. Here is the other side. 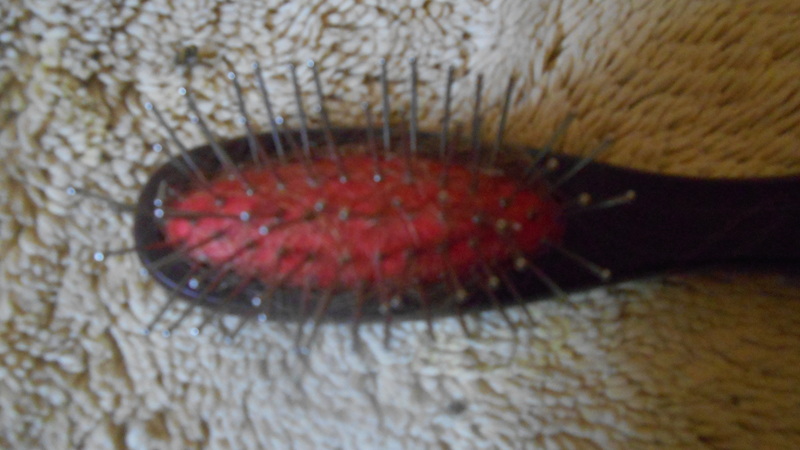 It has metal rungs, and a squishy base. Already one of the rungs has bent, and on has fallen off. It came from using it on another brand, and I won’t be doing that anymore. 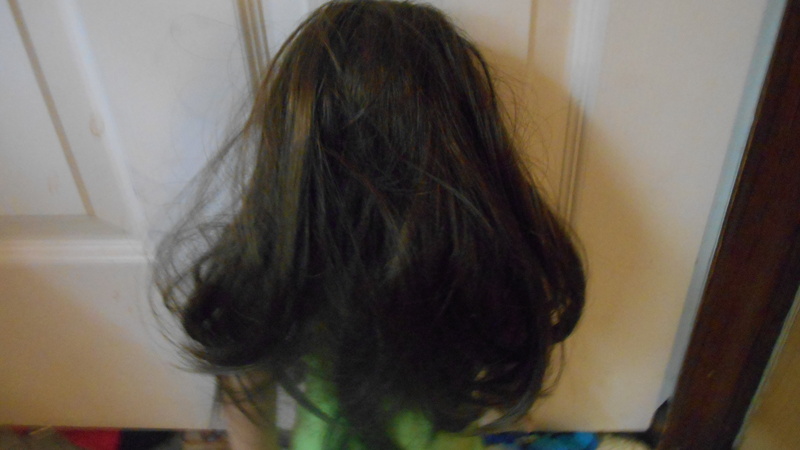 Although the rungs aren’t great, they won’t damage the doll’s hair. They can take it from this…. this. I messed up the hair a little bit, but it didn’t damage the doll. I don’t think it is worth 8 dollars but it works.